From Pampering Yourself at a Wellness Resort, to Soaking up The Beauty of a Quaint Hill Stations And Living in The Wilderness - You Can do a Lot on Your Quick Getaway. Travel does not need an occasion. When you feel you need a break, the best way to unwind from the everyday grind for most people, is through travel. If you’re looking for unique experiences and activities to indulge in, here’s what you can do the next time you crave a quick hideaway. From soaking in the beauty in the lap of nature to having yourself pampered at a wellness resort and living it up in the wilderness, choose what’s best for you. Ever thought of detoxifying in the lap of nature and luxury? No, you don’t have to go to the Himalayas. It can happen right here at Atmantan Wellness Retreat, just 4 hours away from Mumbai. Atmantan is where you and your loved one can pamper yourselves with healthy gourmet food, soothing massages and peaceful sleep. To take things a notch higher, take a dip in Atmantan’s gorgeous infinity pool and unwind here over the weekend. Enjoy luxury in the wilderness at Central India’s Forysth Lodge. If your soul craves for wilderness, the Forysth Lodge is perfect to seek out the thrill and excitement of living in the middle of the jungle along with enjoying the luxury of excellent amenities. Bringing together the joy of sustainable living in the forest with elegance, Forysth Lodge is here to give you a wildlife experience that you won’t be able to forget. Not far from the splendid views of this hill station, Le Meridien Forest Resort is surrounded by rare evergreen forests of the Western Ghats. The resort offers a perfect blend of nature with luxury. At an elevation of 1430 mts, the highlight of the hotel is its amazing temperature controlled infinity pool that is definitely worth a dip. Located near the backwaters of the Gangapur Dam, Soma Wine Village offers wine tours and a relaxing weekend stay for you and your loved ones. 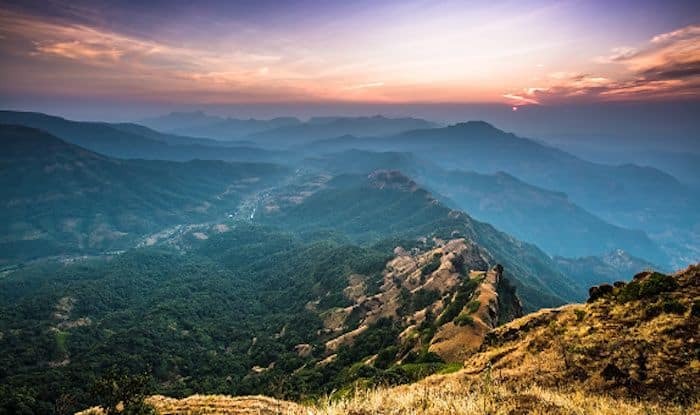 This place might be perfect to book for the long weekend for those of you who want to enjoy views of the Sahyadri mountain ranges, try out their collection of 19 wines and choose from 28 cozy villas to spend the night. If you and your partner are adventure junkies, visit Dhom Dam in Wai. Known as the Pangong lake of Maharashtra, this place is all things calm and serene. Once you make the trip, you’ll forget Pawna and Vaitarna lake. Though Dhom Dam is about five hours away from Mumbai, it’s worth every mile you travel. For those who can’t get to Leh and Ladakh, Dhom Dam is a must visit.